The 2019 online scholarship application is NOW CLOSED! Our 2019 online scholarship application has closed. Students can continue to check with their counselors, and in the section below, for any awards started after the online application closed. Each is due by the date noted on the application. Scholarship recipients are notified to attend their senior award ceremonies and award announcements will be made at that time, not before. Students who need to print a submitted application should click here. Application packs (application and Student Aid Reports) are due to your school counselor by the date they set. Hard Copy Scholarship Applications are used for awards being made outside of our online application process, such as for Polk County private school students and out of county / state qualifying applicants, etc. They may be for a specific school or demographic only, so please read the list carefully. There may also be scholarships noted at the very bottom that was started after the online application opened, please continue to check that section periodically for updates. HIT “VIEW” and “REFRESH” each time you visit this page to make sure you can see all the updates. Please read through the criteria for each scholarship and if eligible, download and complete the application and return it to the Polk Education Foundation by the deadline noted on the application. These awards are for adult school students completing their high school diploma and moving on to some type of post-secondary education. Click here for the application. Joanne Hudson Cook Scholarship is for a student who is a single parent and graduates from the Ridge Teen Parent program or Haines City High School and plans on attending Ridge Career Center. Click here for the application. The Richards’ Family Scholarship and GFWC Four Corners Jr. Woman’s Club Scholarship can be reviewed here. This application is for students who attend a Polk County PRIVATE school and includes multiple scholarship awards for review. Click here for the application. Former AFSCME Local 2227 recipients can apply for renewal here. This application is for students outside of Polk County who are a JROTC Cadet who participated in the Feb. 13, 2016, SSG John Reiners Memorial Walk/Jog-a-thon at Haines City High School. Click here for the application. This application is ONLY for applicants outside Polk County or the state of Florida. It encompasses seven Badcock scholarship opportunities. Polk County students must apply for these same scholarships in the PEF online application process. Click here for the application. This application is for current high school seniors and past Dr. N.E. Roberts Memorial Scholarship recipients. Parent must be an ASBA member for the student to apply. Click here for the application. This application is for students whose parents are members of the PEA, but the student attends high school outside of Polk County. Click here for the application. Students who have received the Polk Sheriff’s Charities Heroes Tribute Scholarship in the past and who meet the criteria noted on the application can apply here. The Angels’ Forge Consulting African-American Leadership Scholarship is open to all high school and adult school students who are willing to attend an event hosted by AFC in the Fall to present their essay and be recognized. Click here for application with full directions. For previous scholarship recipients who need to request funds, please complete the form below and return it to the Polk Education Foundation using the address provided on the form. A copy of the thank you note written to your donor must also be on file with this form to have funds disbursed. Recipients receive a copy of the Scholarship Policy with their award letter. A policy copy is also sent to each college or university with scholarship checks. You can sponsor a scholarship for Polk County High School graduating seniors in your club or business name, or, in memory of a loved one. After the application period ends, all scholarship applications are collected, screened and recipients selected through a competitive application process using the criteria each donor has set. We strive to make sure each application is given focus and attention to allow for the best candidates to be awarded scholarships. Donors can choose to participate in the selection process or allow a PEF committee to make those selections. Donors determine the criteria and the amount for the award. Scholarships can be designated for certain schools or groups of recipients. PEF staff would be happy to speak to you about the process, call 863-534-0434 to discuss. Scholarships are promoted online every January through the Polk County School District and Polk Education Foundation. The last list of scholarships offered can be found at a link at the top of this page. Scholarship funds are awarded in the spring of each year; funds are not distributed directly to the student. A check is mailed payable to the college of the student’s choice during the first part of July. Thank you notes are required to be sent to each donor of a scholarship by its recipient prior to funds being disbursed. By creating an endowed scholarship, you will have a perpetual scholarship awarded each year with no other investment needed. Endowed funds must however be invested for one year before they pay for an award. PEF’s endowment funds are professionally managed by at least 2 management firms per PEF policy. Currently a $10,000.00 donation equals a perpetual $500 scholarship. Endowed amounts and corresponding awards increase incrementally by each $10,000 donated. For more information, please contact Susan Copeland phone: (863) 534-0434. Education is the greatest gift anyone can receive and Florida Prepaid College Plans allow you to give that gift! 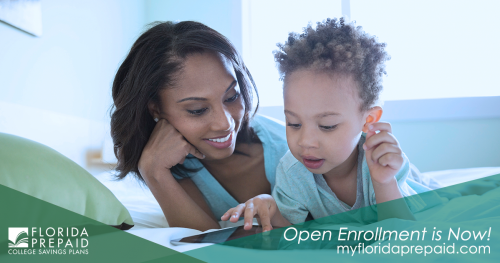 Because of this, from now through the end of open enrollment on April 30th, we are encouraging families to enroll in a college savings plan using promo code POLK1819 to save $30 on the application fee. Click here for information and FAQ’s or visit https://www.myfloridaprepaid.com/. Thank you GiveWell Community Foundation! This logo was made possible by a capacity building grant sponsored by the GiveWell Community Foundation.